This book is for anyone who simply wants to have a good time with family, friends, and audiences. 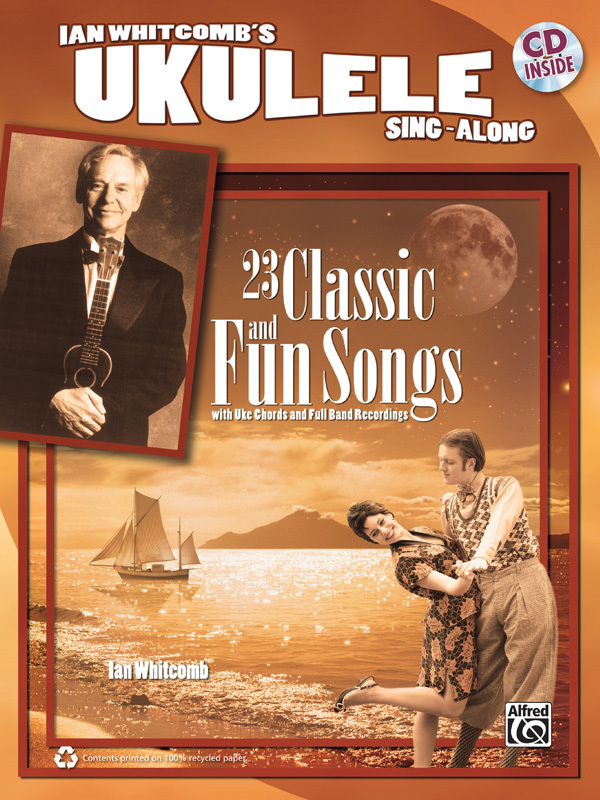 Selections range from songs of the Hawaiian Islands, heartfelt hymns, and high-energy dances to timeless ballads and comical numbers. There are even four of Ian Whitcomb's original compositions. Start off singing and strumming along to the recordings, and then proceed to perform them in your own style. The CD tracks are all performed by Ian on vocals, ukulele, and accordion accompanied by his Bungalow Boys. Titles: Aloha 'Oe * Ambling Along * Beautiful Dreamer * Carolina in the Morning * Charleston * Do I Love You? Yes, I Do! * Goodnight * Have a Martini! * I Want a Girl (Just Like the Girl That Married Dear Old Dad) * If You Were the Only Girl in the World * Mandy * Margie * M-O-T-H-E-R (A Word That Means the World to Me) * Peg o' My Heart * Pretty Baby * She Knows It * You Made Me Love You (I Didn't Want to Do It) * and more.